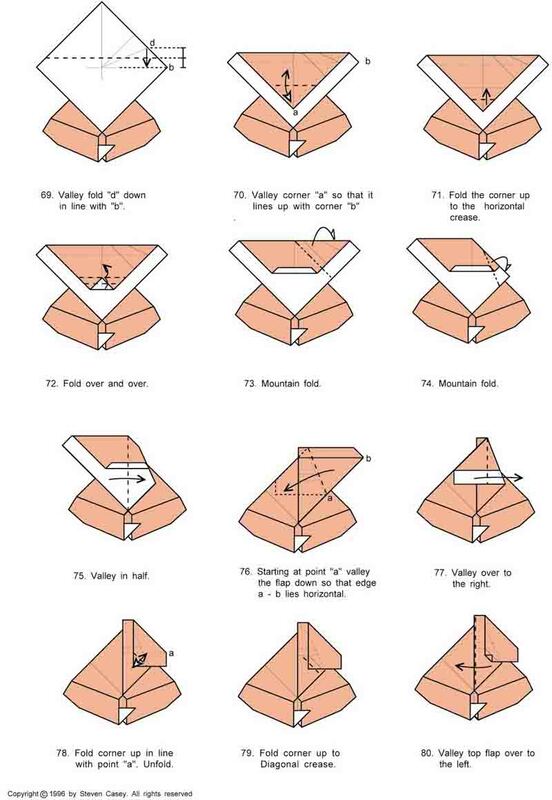 Get your Santa Origami. 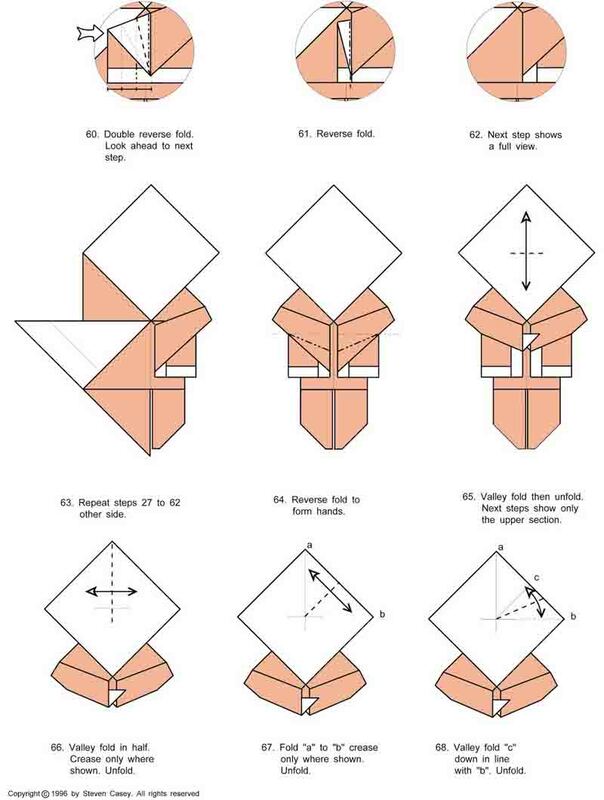 This a complete Santa Origami was folded by Steven Casey. 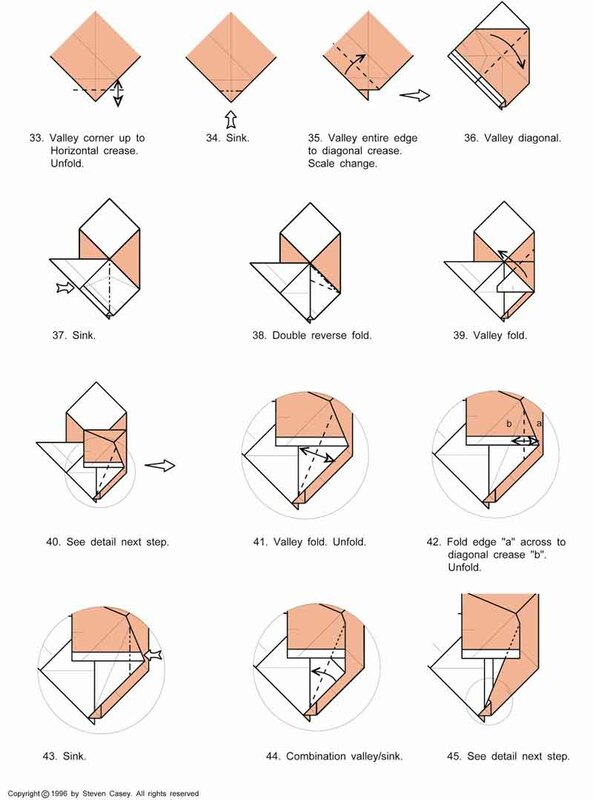 Its diagram is compiled with 8 pages paper and 86 folding diagram. 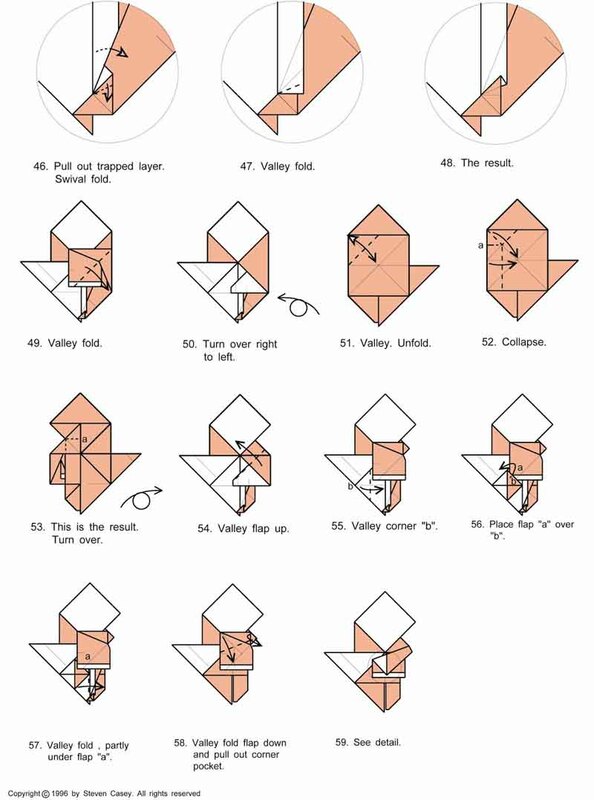 You can save and print it for your convenience. 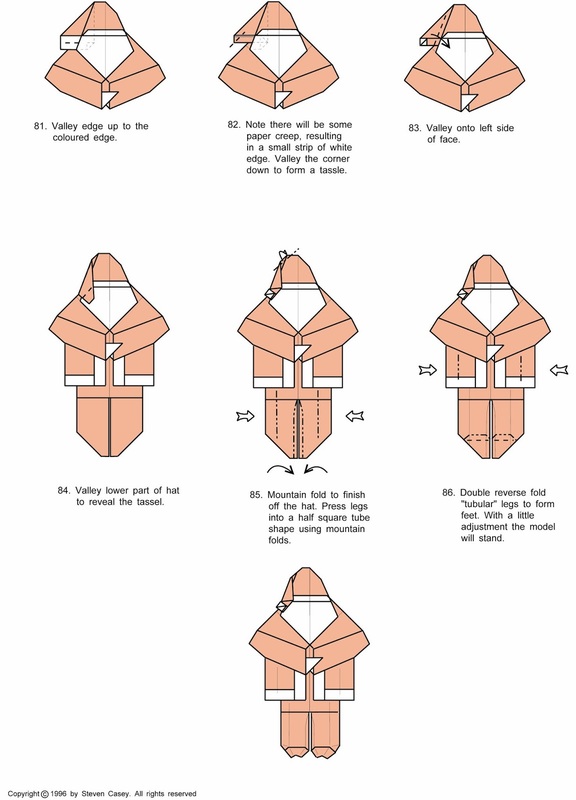 Post message if you want a copy of its full resolution. 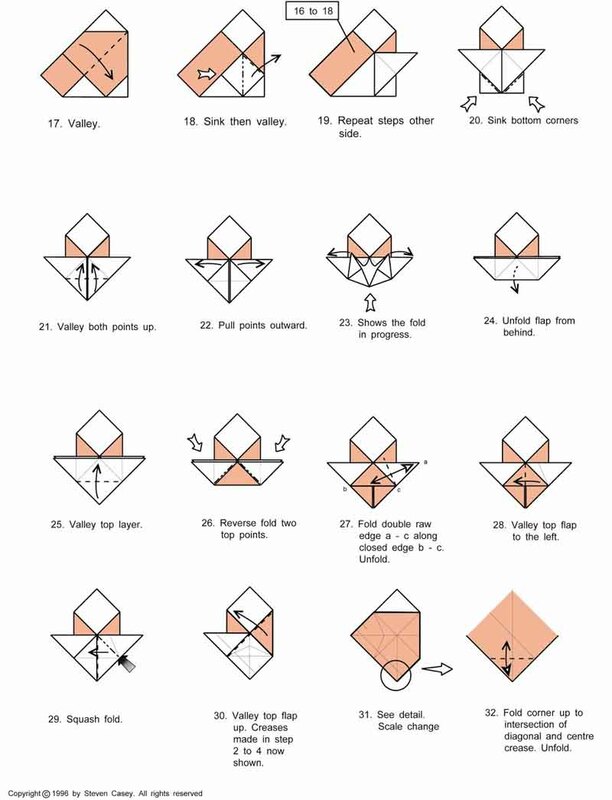 Decorate the Christmas season with origami. 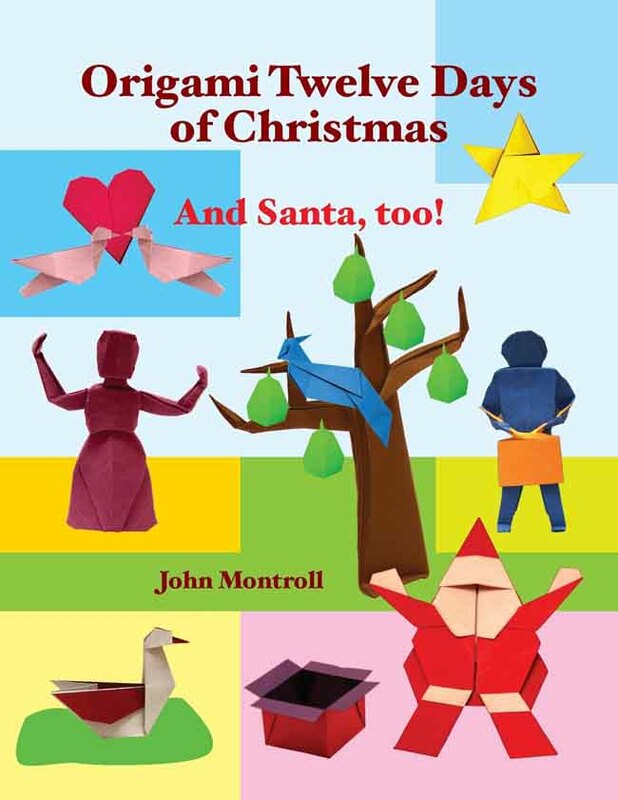 You can fold scenes from the Twelve Days of Christmas and make models for the Christmas tree. 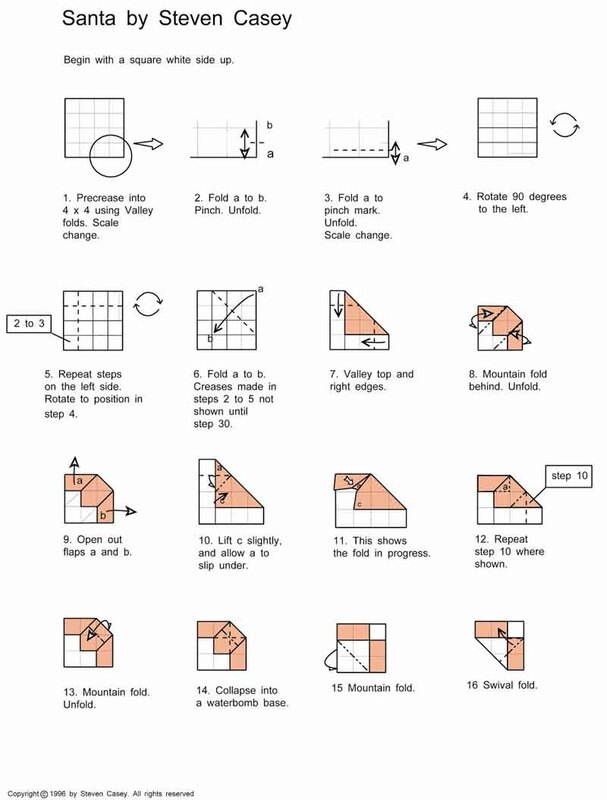 There are 36 models from simple to intermediate. Most of the models are original and a few are traditional favorites. With the Partridge, you can also fold a tree with pears to create a complete scene. The two Turtle Doves are shown with a heart. The Ladies and Lords bring more spirit as intermediate level models. Along with Santa Claus, there are toys, boxes, and tree ornaments. The ambitious folder can make Christmas cards by pasting the models on the cards to make familiar scenes.